GPSSB Declared final result & Final Selection List for Junior Clerk Vahivat / Hisabi (JC) Exam 2015 - Jr. 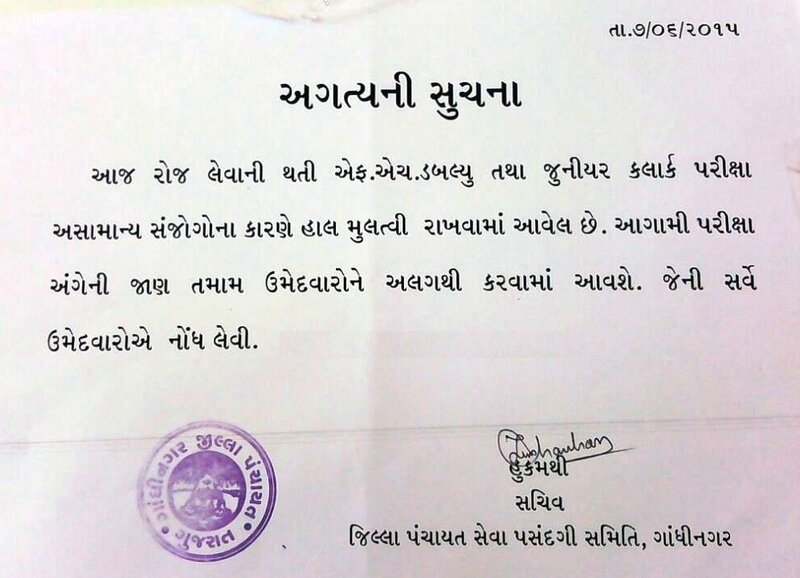 Clerk on Panchayat.gujarat.gov.in - This job is for the all candidates of all district of Gujarat (India). 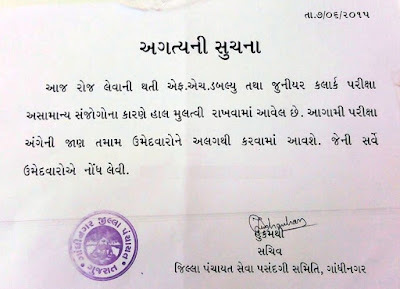 The VACANCIES is FOR JUNIOR CLERK (VAHIVAT / HISABI - વહીવટ / હિસાબી). 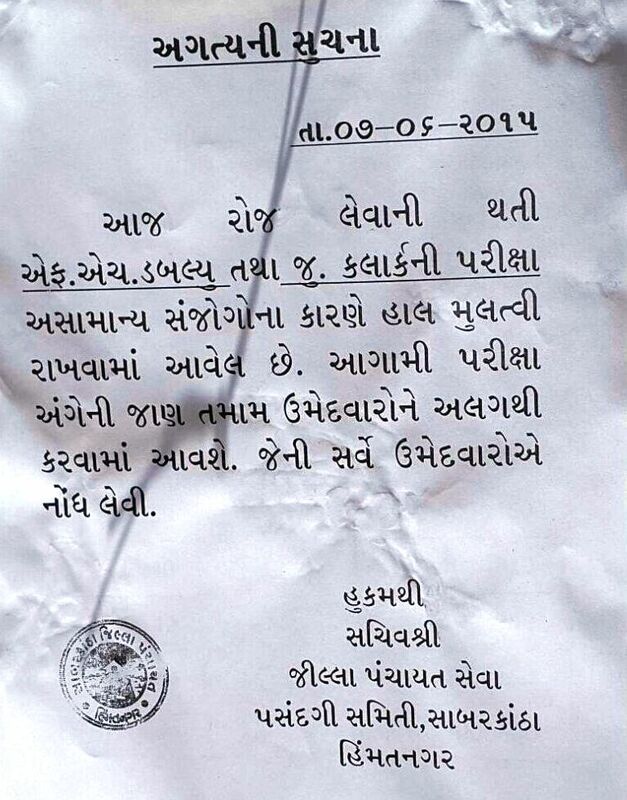 "Due to official reasons Junior Clerk Vahivat / Hisabi Exam was cancelled, which was on 07-06-2015 for Gandhinagar and Sabarkantha Districts only, please note down new Exam date which is on 05-07-2015. 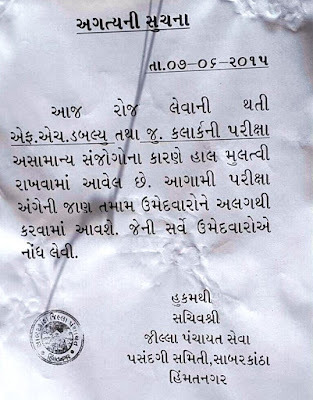 GPSSB Junior Clerk Vahivat / Hisabi exam postponed in Banaskantha, Bharuch , Mahesana , Patan, Surendranagar Districts due to Govt reason, here is the advertisement by Officials.